Stromness Museum wants you to bring their Victorian bird collection back to life! 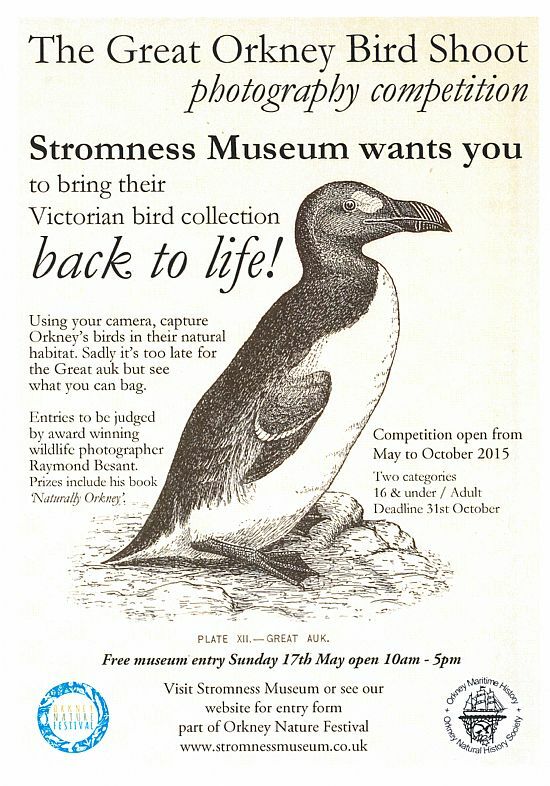 Using your camera, capture Orkney's birds in their natural habitat. Sadly, it's too late for the Great Auk, but see what you can bag. Entries to be judged by award winning wildlife photographer Raymond Besant. Prizes include his book Naturally Orkney.